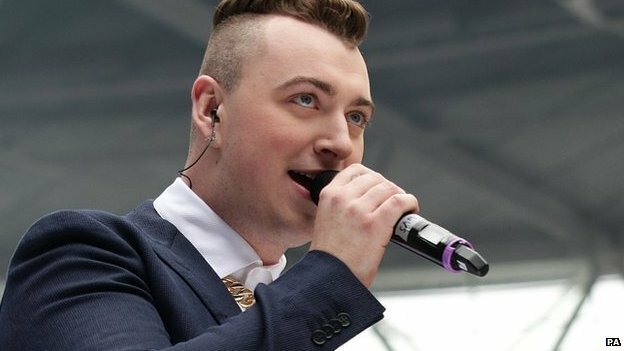 The latest single of Sam Smith is entitled ‘Leave Your Lover’. I so loved the song, because it is something selfish and evil-ish in a way. Imagine, asking someone to leave a lover for your own gain? That is so messed up! Yet, the lyrics though can be perceived egoistic and self-seeking, also exhibits deep sorrow, pleading and yearning. Aside from the poignant lyrics of the song and the moving rendition of Sam Smith, I am also blown away by the lonely ballad’s music video. Leave Your Lover music video amazingly navigates the dynamics of friendship that leads to longing for intimate relationship. But what is so stunning about the video is that the story can be recognized in variety of angles. It has such a wide spectrum! Even the last few seconds of the video even adds up to the already complex twist of the three leading characters! There’s harmony yet jealousy, allegiance yet competition, care yet disregard, joy yet disappointment, and many other irony of life’s circumstances. In terms of socio-sexual context, it can be perceived either as straight, gay, bi-sexual and even polysexual affection. The compelling video seem to imply that it would be up to the viewer which layer from among the standpoints and feelings of the characters he or she would like to grasp the story from. It would be for the viewer to decide on how the story would continue and or conclude. The storyline presented is so complex, it engages you in some deep astute contemplation. And that is all conveyed brilliantly in 3 minutes and 10 seconds. Masabi nga yan wan op dis deys. Mwahaha! One of my best references to know and be updated about emerging hit songs is my dear nephew Luis. When I wanna be updated, I would simply ask him what’s his latest music downloads. He of course would be all but willing to play these songs in his phone. I then would got to select which ones would I like and ask him to send it to my phone via the ever reliable bluetooth. Several weeks ago, Luis introduced me to the music of Sam Smith. After that moment, I was totally hooked on the beautiful music of this British singer. When Luis first played Sam Smith’s song on his phone, I asked him if the guy was a black artist. It is because he sounded like a soulful black singer! When I first saw his video on Youtube, I believed that Sam Smith – with his enormous talent and rising popularity – is an Adele in the body of Boy George. That Sam Smith would most likely be the offspring in case Adele and Boy George would have a baby. Kidding aside, since then I got so curious with the body of his works. I was so impressed by his unique voice, his exceptional vocal range and the stirring lyrics of his songs. I now got a separate playlist of Sam Smith’s music in my phone. Songs taken from his debut and sophomore albums. Here is Sam Smith, my favorite male singer this year!